WESTLAKE, California — As a possible nuclear deal with Iran draws near, Dr. Behzad Tabatabaei addressed a crowded room at the Westlake Village Inn on behalf of the Thousand Oaks Republican Women Federation, where he provided a comprehensive history as to why the regime cannot be trusted. Tabatabaei is an international business and political economist who has advised several foreign governments in strategic and intergovernmental affairs. He also was an advisor to former Massachusetts Governor Mitt Romney’s foreign policy team during the last presidential election. His area of expertise is in international economic development and the state sponsorship of terrorism. He recounted how Iran’s 2009 “Green Revolution” was a missed opportunity for America to help Iranians overthrow the regime. The revolution began after reformist Mir-Hossein Mousavi lost to Mahmoud Ahmadinejad in what is believed to have been a rigged election. As for why Iran is so unstoppable, Tabatabaei said: “Because it is a learned behavior. This clerical Iranian Regime was never truly punished for its inequities and bad behavior,” he said, referring to the hostage crisis of 1979-1981. Iran was deceitful again during the Iran-Contra affair (1985-1987) when they released three U.S. hostages in Lebanon only to kidnap three more almost directly afterwards. But it was in 1986, he said, that the Iranians realized Reagan was a force to be reckoned with. It was on April 18 of that year when, according to the New York Times, “six American ships destroyed two Iranian oil platforms in what the Reagan Administration said was retaliation for the mining that damaged a Navy vessel” the week before. After Reagan, however, the Iranians continued down their path of deceit, Tabatabaei said, which has enabled them to increase their power. 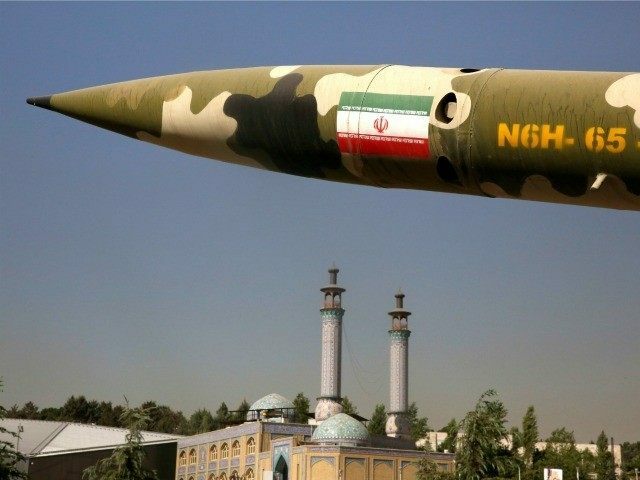 “That’s the kind of regime you’re dealing with,” Tabatabaei told Breitbart News.